Well, the season has begun and with it another round of calls for the Washington football team to rid itself of its insulting and racist name. What was, only a few years ago, a shout in the wilderness that was largely ignored except by Native Americans and some of their allies, has now become something of a clarion call which has entered the mainstream. The Washington Post, to the fury of some of its readers, decided to take the symbolic though significant step of ceasing to refer to the Washington football team by their official name on their editorial page. This action has been one of many that seem to be sweeping the scene. Despite these repeated calls for a name change, including an implicit call by President Obama, Daniel Snyder, the owner of the Washington football franchise, refuses to budge. Under other circumstances his actions would actually be quite hilarious. He has done virtually everything imaginable in order to convince the public – but probably to convince himself – that there is absolutely nothing insulting, racist, etc., about the name of his team. The problem is that his actions are simply not working. Snyder’s adamant refusal to budge forces us to come to grips with the ramifications of racist demonization. The notion of a “red skin,” as articulated by the descendants of settlers who ravaged North America and nearly exterminated Native Americans, cannot be value neutral any more than the N-word. Despite the fact that such derogatory terms may be used within the racial/ethnic group that is being attacked, such usage is quite different than when applied by society as a whole. Regardless of whether you subscribe to the late Richard Pryor’s notion that there “…are no n—— “ (a statement with which I happen to agree), there is a profound difference between two Black people using the term vis a vis one another, and a White person using it. The White person uses that term as a bat with which to suppress us and remind us of our marginal and subordinate status. In that sense, names can and do really hurt. The same is true with regard to the notion of “red skins.” It really does not matter how many Native Americans Daniel Snyder can dig up who claim that the term is value neutral. The reality can be found in the history of the term and the manner in which it accompanied the process of the removal of Native Americans from their land – and in many cases – from Earth entirely. They have been placed them in a status whereby they exist almost in a mythical state, except for the fact that most of them live under conditions of oppressive subordination even if and when they happen to have a gambling casino on their reservation. Daniel Snyder: it really is not all that difficult. Just change the name and keep moving. History and current political realities stand against you. 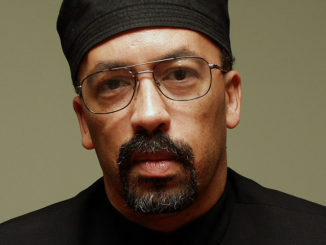 Bill Fletcher, Jr. is the host of “The Global African” on Telesur-English and is a racial justice, labor and global justice activist and writer. 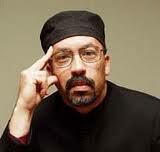 Follow him on Facebook and at www.billfletcherjr.com.